The weather is getting warming, which reminds us of the importance of proper home maintenance and spring cleaning. Our friends at First General, The Insurance Restoration Specialists have shared with us their list of items that should be included on our spring cleaning/maintenance list. 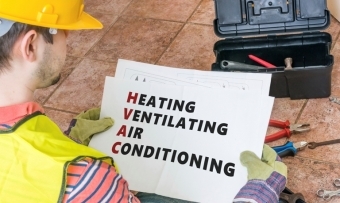 They suggest that your cleaning/maintenance check list begin with checking your systems, in particular, HVAC. Check your air-conditioning and heating equipment before the beginning of a new season. Check and replace your furnace and air-conditioning filters every month. There are several types from which to choose, depending on your needs. Fiberglass filters last only one month, while the filters typically last three to four months. HEPA filters last up to six months and can be cleaned with a vacuum nozzle. Most air conditioners have a drainage hole on the base of the cabinet, beneath the evaporator fins. This hole needs to be kept clear in order for the air conditioner to work properly. It's a good idea each spring to use a paper clip or wire to poke through the hole and clear it. Check the flappers on your toilets at least once a year. If they are showing their age, replace them before they start leaking and wasting water. Replace the batteries in smoke and carbon-monoxide detectors twice a year: when the time changes to daylight savings time and then back to standard time. While you're at it, dust or vacuum the detectors to keep them working at peak performance. Make sure you have a fully charged fire extinguisher that you can reach quickly and easily. Inspect and, if necessary, caulk around your home's windows and doors annually. That will help keep out heat and humidity in the summer and cold drafts in the winter—and save money on your utility bills all year round. Open and close all windows. Do they all open easily, yet close tightly? If not, check the weather stripping. There are a number of different types to consider. The best time to caulk a joint outdoors is during the spring or fall. That's when the width of the joint is halfway between its seasonal extremes. A plastic drinking straw or a length of plastic tubing makes a handy extension tube for caulking hard-to-reach places. Secure the extender with duct tape. To really clear and clean screens for springtime, rub them with kerosene on both sides, then rinse with soap and water. Kerosene fumes are dangerous, so make sure to do this outside or in a well-ventilated area. To fix a small hole in a window or door screen, dab clear household cement over the hole with a toothpick. If the screens are plastic, test the cement on a scrap to make sure it won't melt the material. Use the same technique to repair screen tears. Pull the two halves of the tear together and hold them in place with masking tape on one side. Apply the household cement to the tear, then smooth with a putty knife. When it's dry, gently remove the tape and apply cement to the other side. Clean out the gutters of winter debris and check them for damage from ice. Install gutter screens or protectors to help keep debris out of the gutters. If a roof gutter is sagging, pitch it back to a level position by tightening its strap with pliers. The tighter the strap is twisted, the more the gutter will rise. Be sure the gutters slope properly toward the down-spouts.